Social network giant Facebook has entered into a strategic partnership with the National Skill Development Corporation (NSDC) in India to empower youth and entrepreneurs with digital skills. The MoU between NSDC and Facebook was signed in Bhubaneswar in the presence of Union minister Dharmendra Pradhan. 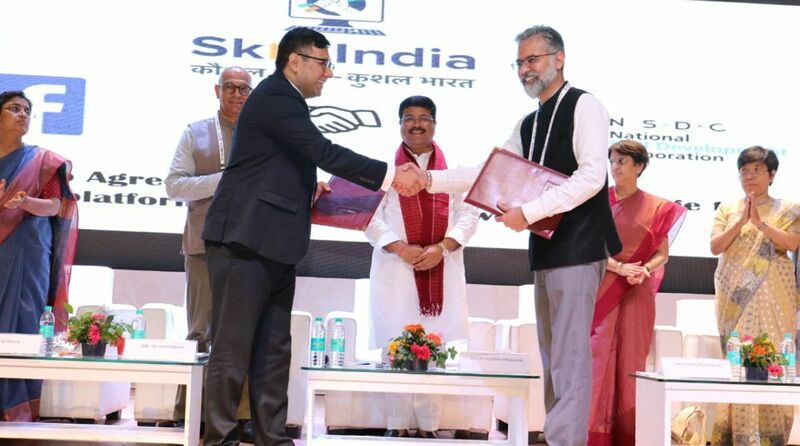 Initiated as part of the Skill India Mission, the partnership was sealed on the occasion of World Youth Skills Day at an event organised in Odisha capital Bhubaneswar. The partnership will enable the Ministry of Skill Development and Entrepreneurship (MSDE) to incorporate Facebook’s training in digital marketing skills in its courses besides providing trainees with access to local, domestic and international markets. The programme includes courses on Digital Marketing, Online Safety & Financial Literacy in regional languages, and Facebook will train master trainers nominated by the NSDC for the purpose. The move aims to upskill job seekers and increase their prospects of employment. “The partnership will also enable trainees to have access to Facebook’s Jobs tool to easily search for job openings. They can easily search for jobs in the jobs bookmark in their Facebook app or visit www.facebook.com/jobs through their mobile phones while controlling the sharing of information with prospective employers. This will provide trainees with a much-needed access to the market while employers will find it easy to post jobs and manage applications on mobiles,” said a statement issued by Facebook. Facebook has earlier conducted training programs on digital marketing skills, having trained over 200,000 youths and entrepreneurs under the #BoostYourBusiness program across 16 states in India. Also, 30,000 women entrepreneurs are being trained under the #SheMeansBusiness program. Facebook, which launched the Digital Training Hub in 2017, aims to train 500,000 youth and entrepreneurs by 2020, according to the statement.